Provide your employees with the tools to be happy, healthy, and more productive at work. Andrea Stern opened Satori Yoga Studio after years of working downtown with the goal to provide urban professionals with a studio that caters specifically to their needs – an urban oasis in the middle of the Financial District. In the spirit of making San Francisco’s Financial District a more productive and healthy place to work, Satori offers corporate classes for San Francisco businesses. Well established yoga studio with a strong reputation and loyal client base. Owner is former HR Director. Opportunities to purchase or “buy out” an existing class for your office. Hire one of our expert yoga teachers to come to your office (one time or ongoing). Give your employees a discount on class packs + memberships (and add more perks they’ll LOVE to your employees benefits package). Customized leadership and/or team-building workshops that incorporates mindfulness and light movement. We’d LOVE to work with you. Please email Andrea directly at info@satoriyogasf.com or call 415-658-7337 to learn more and get started! Note specific teachers are available upon request and pending availability! Rebecca Rogers teaches Vinyasa (flow yoga) classes that are often described as strong, fun, and inspirational. She believes in the power of yoga to awaken each of us to a greater sense of purpose and intentional living, and to unite the yoga community around sustainability and social justice. 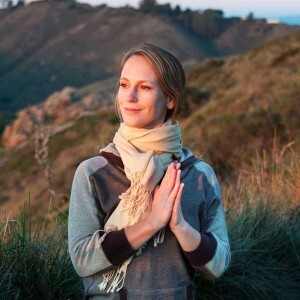 Rebecca’s classes are intended to build strength, body awareness and flexibility through an integration of breathwork, creative sequencing and precise alignment. Classes are safe for newer students and challenging for more experienced yogis, and include hands-on adjustments, descriptive cues, and individualized attention. Raquel Scalon started teaching yoga out of a longing to help her students feel just as grounded and comfortable in their own skin, as she does in hers (well, at least, most the time). Raquel’s practice has taught her that in order to bring balance to the “busy-ness” in our lives, we must seek activities that will both boost energy and have a cooling, calming after taste. Raquel is deeply passionate about sharing the many benefits of yoga, as she is confident it can be delivered in a way that is meaningful, efficient and engaging.